Travis Barker has posted his new album, Give The Drummer Some on his myspace. You can stream the full album here. If you live anywhere near the Hollywood area, treat yourself to Travis Barker’s album art show and listening party this Wednesday. The flier for this party, celebrating his upcoming release, Give The Drummer Some, is posted below. 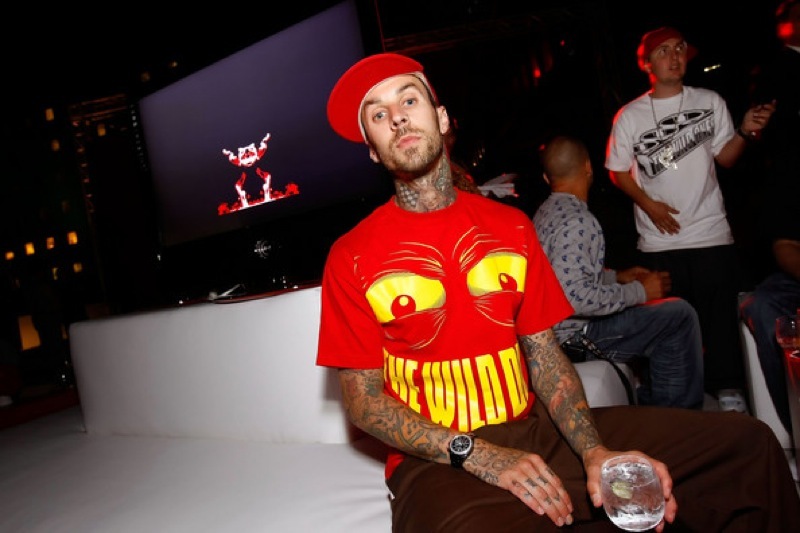 Travis Barker has released another track that will appear on his upcoming solo album, Give The Drummer Some. Click here to listen to “Saturday Night” featuring The Transplants and Slash. World renowned blink-182 drummer, Travis Barker, has finally unveiled the track listing for his upcoming solo album, Give The Drummer Some. The debut album from Barker will be released on March 15th by Interscope records. “Carry It” features high energy performances from Wu-Tang Clan members, RZA and Raekwon, along with Rage Against the Machine guitarist, Tom Morello. To watch the official music video for “Carry It” visit Vevo.com. This album is slated for a February 2011 release.